If you happen to get a flat tire, having a spare can be a lifesaver! It allows you to get where you’re going and to drive to the repair shop to have the tire fixed or replaced. Spare tires have traditionally come with new vehicles, and are usually smaller than regular tires to help preserve space, gas mileage, and cost. However, many newer cars, especially those that have been released since 2012, don’t include one! Before you get on the road, it’s important to make sure you have a spare tire, a repair kit, or a way to move your vehicle if you do get a flat. Usually, spare tires are used sparingly, but sitting unused isn’t necessarily good for them. So, what do you need to do to maintain your spare tire so it’s there when you need it? Every driver on the road should know how to change a spare tire. Take the time to to familiarize yourself with the equipment needed to change a tire, including the jack, wrench, and the tire itself. Know where these tools are stored in the vehicle and how to safely use them. When new drivers are learning to drive, it’s important to teach them to change a tire, because flats happen! 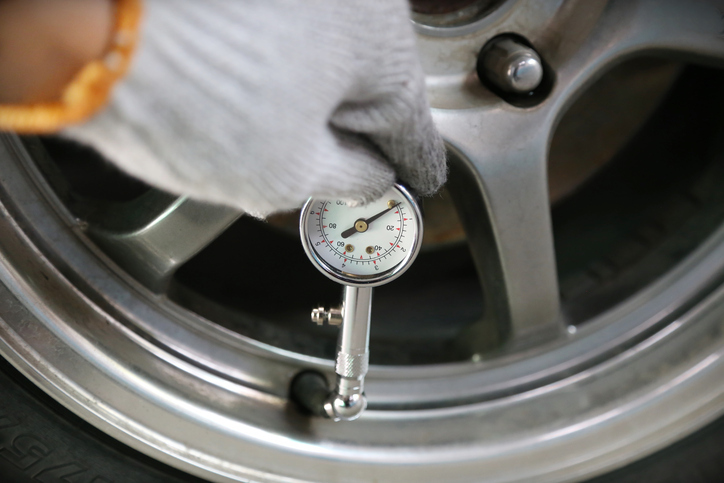 It’s just as important to make sure your spare tire is inflated appropriately as it is to ensure that your normal tires maintain the appropriate tire pressure. If your spare is low, when you drive on it, it could shred even during the short distance to a repair shop. Spare tires, like normal tires, deteriorate as they age. Even if you haven’t used it much, it’s important to make sure it’s in good condition every time you have your tires rotated. Spare tires are generally smaller than your vehicle’s normal tires, and it’s not safe to drive on them at high speeds or for long distances. Be careful not to go over about 50 mph, or to drive more than around 50 miles at a time. Full size spare tires can be driven normally, but they should still be fixed or replaced as soon as possible so you don’t find yourself without a spare tire. If you have a full sized spare tire, it should be rotated every time that the rest of your tires are rotated, so that each tire spends a period as the spare.